New Delhi: The 9th Jagran Film Festival created a strong impact on the minds of its audience, who were here to witness something new and fresh in the world of cinema. Day 5, the last day of the film festival in the city, was celebrated, appreciated and applauded by the huge audience in attendance. They warmly embraced the versatility, culture and the big variety of cinema from across the world. JFF is a one-of-its-kind event where people get to enjoy the great diversity of Indian and also, cinema from the world. 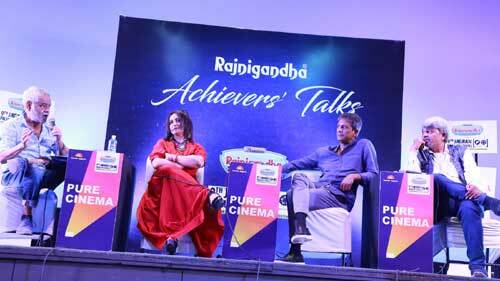 Marking the last day of the festival with their esteemed presence were Divya Dutta, Adil Hussain and Sanjay Mishra. The audience received them with warmth and appreciation as they heard more about their favourite stars in both reel and real life. Among other celebrities were Director Dinesh Yadav and Miransha Naik. Earlier, it was Tabu followed by Saurabh Shukla who engaged with the audience on the JFF stage at the beginning of the festival. 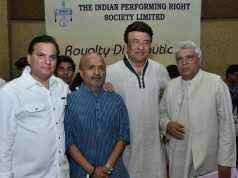 This particular initiative at the event premise was well-appreciated by the audience as they learnt more on the cinema from the actors themselves. This year, there are over 400 films from across the world, in different genres, to be shown to the cinema-loving JFF audience. Delhi chapter screened around 150 films this year. They were continuously entertained with big Bollywood titles like October, Maachis, Satya, Mukkabaaz, and more. People enjoyed the unique opportunity and experience of watching their favourite movies on the big screen amid the cinema fanfare. Special screening of movies categorised in Documentary Competition, International Shorts, Thematic Specials and Student Focus slots was done. 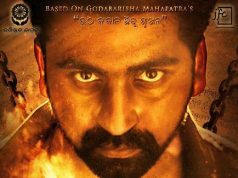 The audience was seen appreciating the technical nuisances as well as the fine details the big wide world of cinema has to offer. The audience also appreciated the documentary style of cinema as they watched Being Bhaijaan, a documentary on Salman Khan and For The Love Of A Man, a documentary on Rajnikanth. The 2018 edition of the Jagran Film Festival commenced in Delhi and will tour other Indian cities like Kanpur, Lucknow, Allahabad, Varanasi, Patna, Dehradun, Ranchi, Jamshedpur, Bhopal, Indore, Gorakhpur, Agra, Ludhiana, Hissar, Meerut and Raipur before concluding in Mumbai in September.